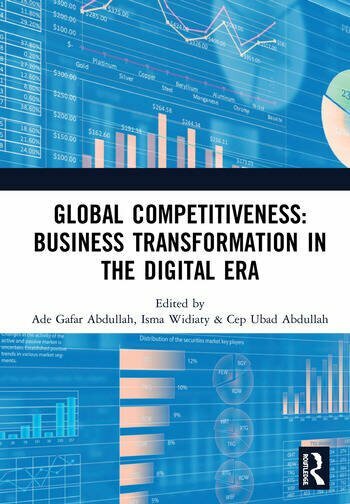 The proceedings of the "Economics and Business Competitiveness International Conference" (EBCICON) provides a selection of papers, either research results or literature reviews, on business transformation in the digital era. 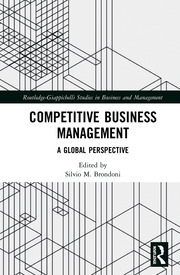 Nine major subject areas, comprising accounting and governance, customer relations, entrepreneurship, environmental issues, finance and investment, human capital, industrial revolution 4.0, international issues, and operations and supply chain management are presented in the proceedings. 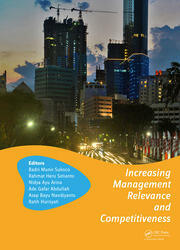 These papers will provide new insights into the knowledge and practice of business and economics in the digital era. Therefore, parties involved in business and economics such as academics, practitioners, business leaders, and others will be interested in the contents of the proceedings. Accounting and Governance; Customer Relations; Entepreneurship; Environmental Issues; Finance and Investment; Human Capital; Information Systems and Technology; International Issues; Operation and Supply Chain; Other Related Issues. Ade Gafar Abdullah is a lecturer at Universitas Pendidikan Indonesia. He is currently the head of Technoligical and Vocational Education Study Program, School of Postgraduate Studies, Universitas Pendidikan Indonesia as well as the chairman at the university publication center. He has published countless papers on science, engineering, and technology, particularly on electrical engineering and nuclear physics. Isma Widiaty is currently a lecturer at the Department of Home Economics, Faculty of Technological and Vocational Education, Universitas Pendidikan Indonesia, Indonesia. Her research interest is mainly on teaching and learning Batik in vocational high schools including its curriculum, its learning media integrating information and communication technology (ICT), and local wisdom in teaching and learning Batik. She is currently a member of UPI publication center as well. Cep Ubad Abdullah is a lecturer at Universitas Pendidikan Indonesia. As a member of UPI publication center, his area of research is mainly on education. His publications include papers on physical education, sports science, science and technology in education. He became recently interested in research studies in tourism as well.